← Vegan in Ocean Beach, San Diego: The Best Breakfast AND the Best Mexican Food? I’ve spent a lot of time at endurance races, but almost all of them have been bike events. 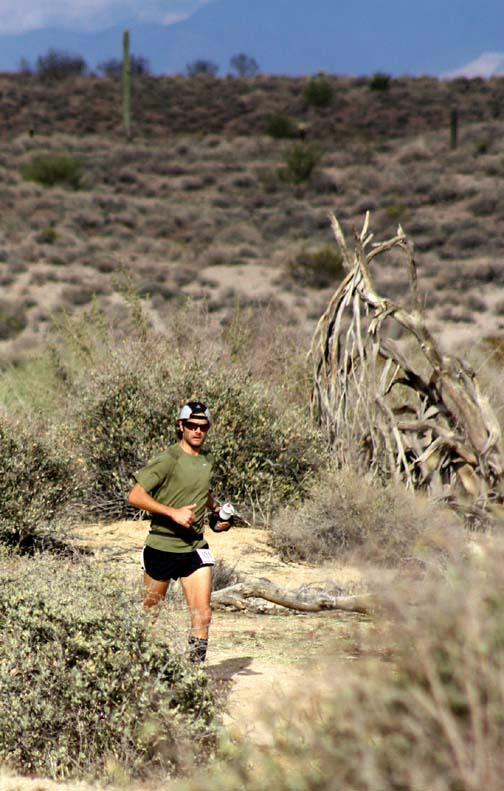 I’ve officiated at the Badwater 135, so I’ve some idea about ultra-running, but what I experienced this past weekend at the Javalina Jundred 100-mile foot race was completely new. I went out with my friend Donovan to film our first Kickstarter funded episode of Day in the Life so I can’t give away too many details….but let’s just say he wasn’t the only one to walk (limp?) away more stoked on ultra running than before the weekend started! Donovan out on the course in the beautiful Sonoran Desert. Watching runners come through the start/finish all day and then into the night was really something else. The course is a 15-mile loop with each lap run in the opposite direction. The last lap is only 10 miles to make 100 (101 actually!). We had gotten there earlier enough on Thursday to snag a camping spot right at the start/finish so we were embedded in all of the action. In true Swarm! fashion we camped each night (many people set up their camp and then stayed in hotels) and cooked all of our meals on camp stoves. 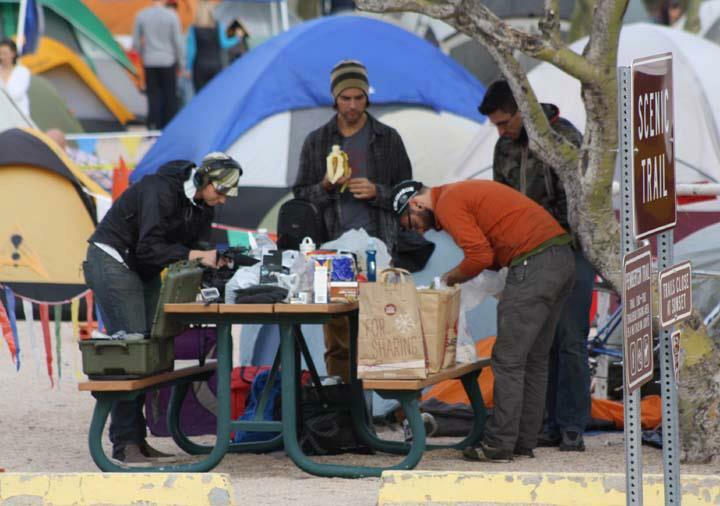 And keeping with the Burro Schmidt Running Club tradition started at the Calico 50k earlier this year, we cooked pancakes and beans. How cool is it that the athlete we film is down to camp and to be cheap before his first 100-mile run? I don’t know how we keep finding these people! Our base camp. Photos courtesy of Donovan's mom who flew in from Montana for the race! I’m going to have a full post with the Day in the Life episode where you’ll learn more about Donovan, his unbelievable path to veganism and what it was like to run his first 100-mile race. Meanwhile I just couldn’t wait to mention this race and the awesome time I had out there. If you have the opportunity to do support at an ultra event please do take it. Being a part of an accomplishment like this is really gratifying; you don’t even have to run it! Discovery wrote about this year’s race if you’d like to get more of an idea about it.